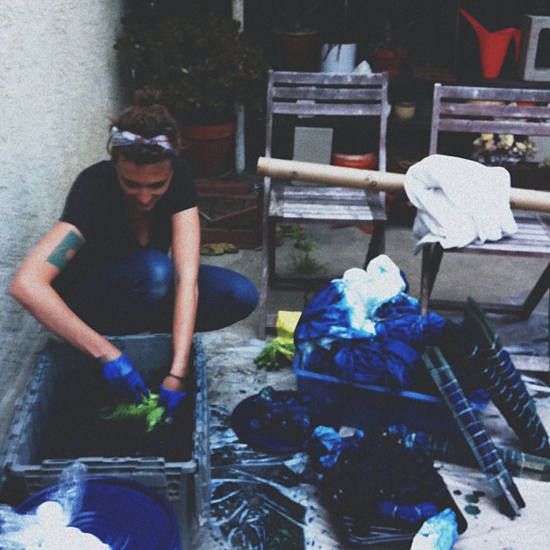 Ever since I saw the DIY Shibori on Honestly WTF I have really wanted to try indigo dying myself. Truth be told I fell in love with Shibori as a teenager only I didn’t know what it was called I just found myself obsessed with Japanese indigo that was used in kimono making. 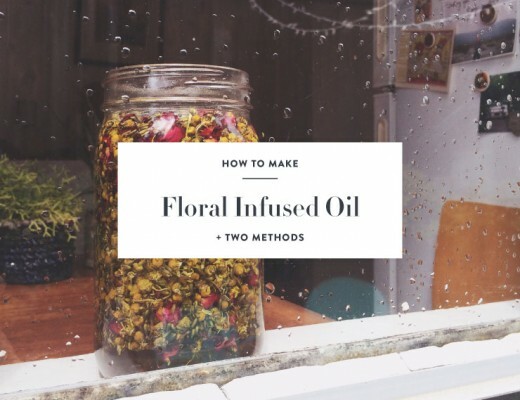 This method of dying usually utilizes indigo and employs binding, stitching, folding, compressing, and twisting with many dips into the dye bath. I used binding, folding, and compressing. After seeing the amazing job the fabulous ladies up in LA did on instagram I HAD to do it and I found a cohort in Jamie. Really Jamie did all the work and I just showed up and had the great pleasure of Tori, Jamie, Jessica and Denise’s company. We used and indigo kit that you can purchase here. I have to warn you. This is super fun and you may find yourself ( as I did ) looking around the house for more things for you to dye. 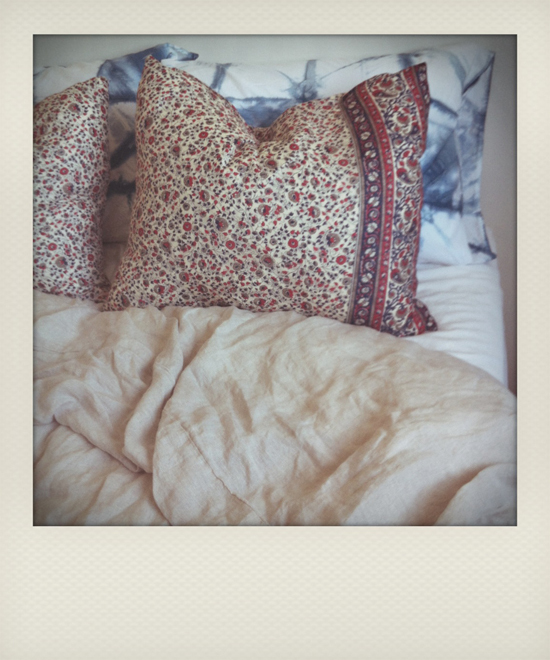 I ended up dipping pillow shams, a few t-shirts, linen kitchen towels and a scarf. The fabrics I used were linen, wool and cotton. I would like to try madder and cochineal. 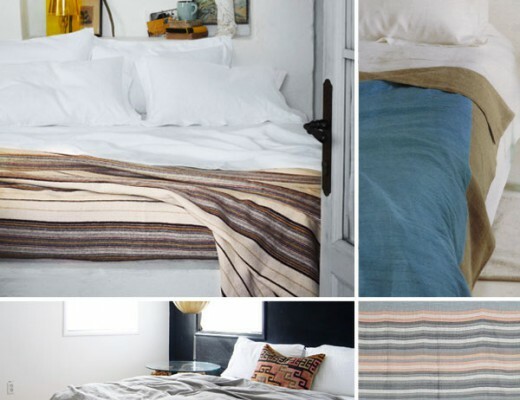 You can find more natural dyes here. Also I would love to some additional books on technique ( here and here ). Don’t worry if it’s your first time dying because the kit comes with a great instruction manual that gives you a ton of options for folding and creating pattern. Let me know if you try it I would love to hear how it turns out. P.S. If any of you are getting married and you want to elope in San Diego you should check out the amazing deal Runaway a Pop Up Wedding is doing. Jamie and Tori did some incredible dye job that will be showcased there. I would love to be a fly on the wall for that. P.P.S. 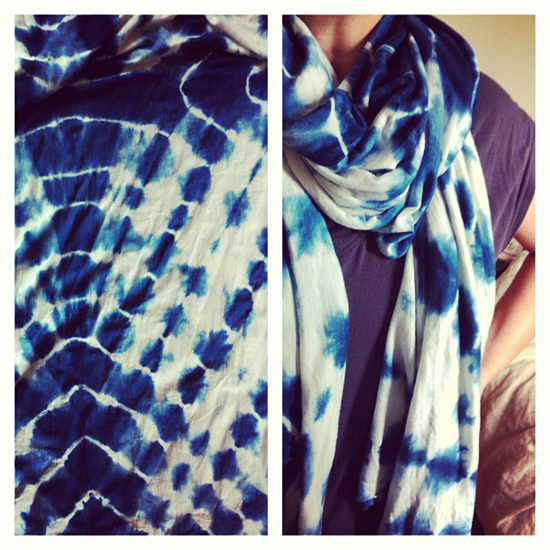 This Shibori Tutorial is really cool. They turn the t-shirt into a crocodile. Thanks for posting the details of your project. I totally can see why you wanted to dye everything in sight. What beauty! You can control the intensity of the color by dipping it less. You could use the same technique with reactive dyes. I really like the greys idye produces. You can buy idye at Artist and Craftsmen Supply. I can't wait to see what you do with it. Oh girl. Beautiful creations! I can't tell you how much I'm itching to dive into this. I actually have bags of indigo, cochineal logwood, and a few other shades/substances ready to rock, as yet untouched. 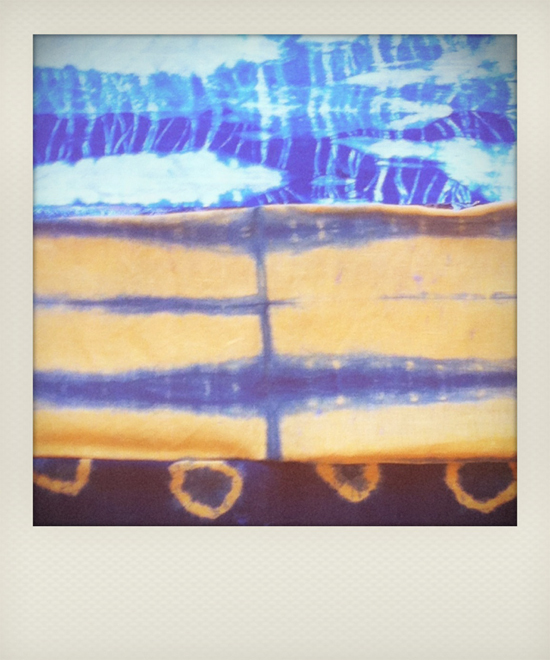 I simply adore shibori. And isn't that totally how it goes with tie-dying of any sort? I remember my mom doing some dying with my younger brothers while I was at grade school for the day… somehow everyone's underwear got tie-dyed by the time I returned home 🙂 Must. Dye. All. The. Things. As soon as we're moved, I'm allowing myself time for this. These are stunning! I especially love the scarf. It definitely seems like a project that would be more fun to do with friends!